When I think back to Presidents’ Day as a child, I remember it as a day my parents had off from work. Sometimes I was lucky enough to be off from school too, if we had a snow day. 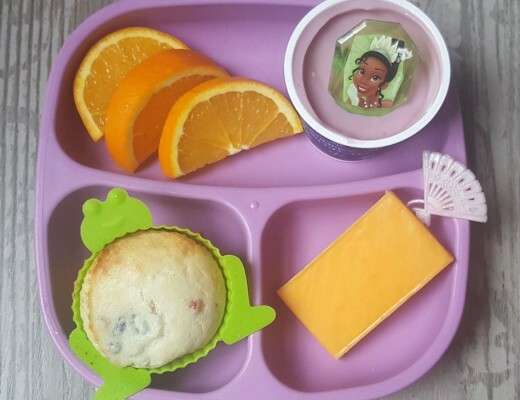 Last week, when I was thinking about Presidents’ Day coming up, I realized that my kids might not have much of a memory of Presidents’ day beyond some activities in school since everyone in our family commonly has school and work as usual on the day. 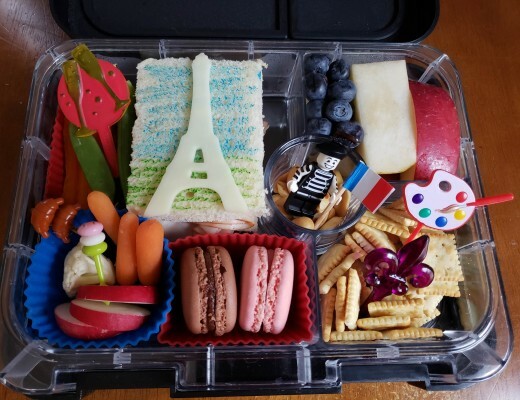 So, I decided that this year we would read several books about some of the early influential Presidents and I would pack lunches themed for Presidents’ Day. 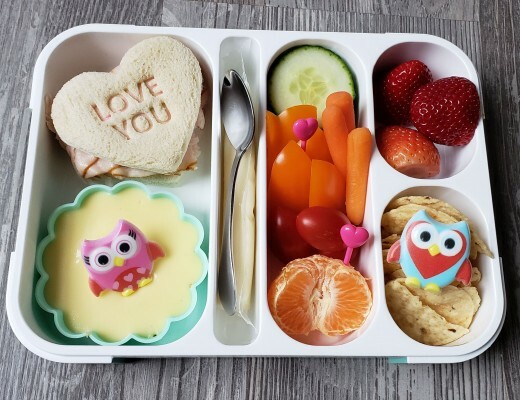 I’ll share some of those books and the lunches below. 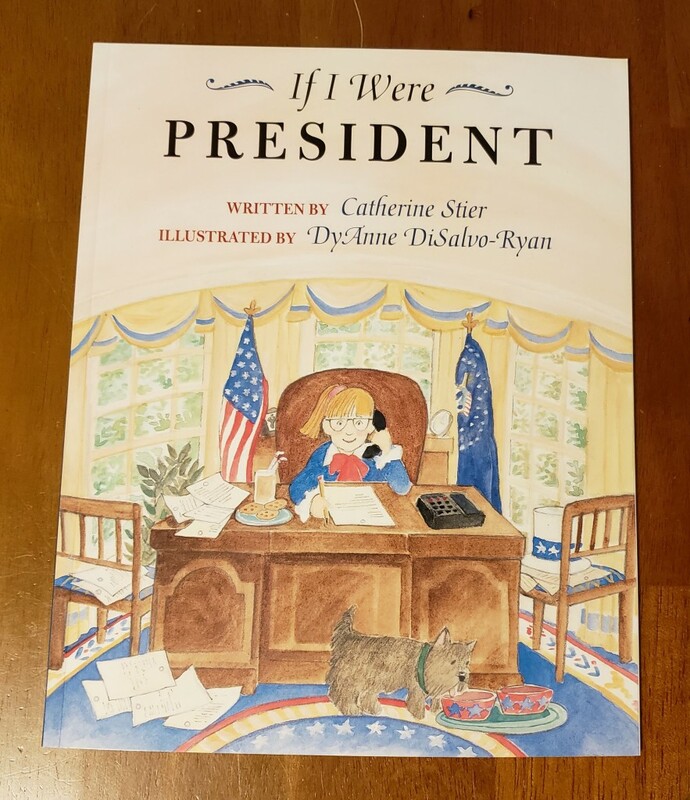 First, are two books which were each written to describe experiences Presidents experienced when they were very young. George Washington’s Birthday is a fiction story about a day when George turned seven and everyone forgot his birthday until the end of the day. 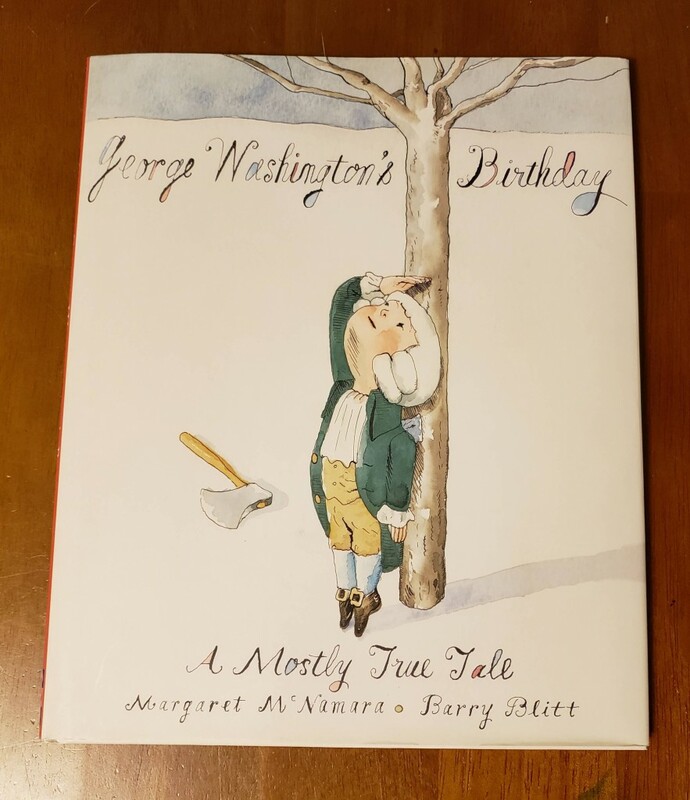 The book details several myths and facts about George Washington and points out that even though the story of the book was made up, it is true that no one forgets his birthday today. 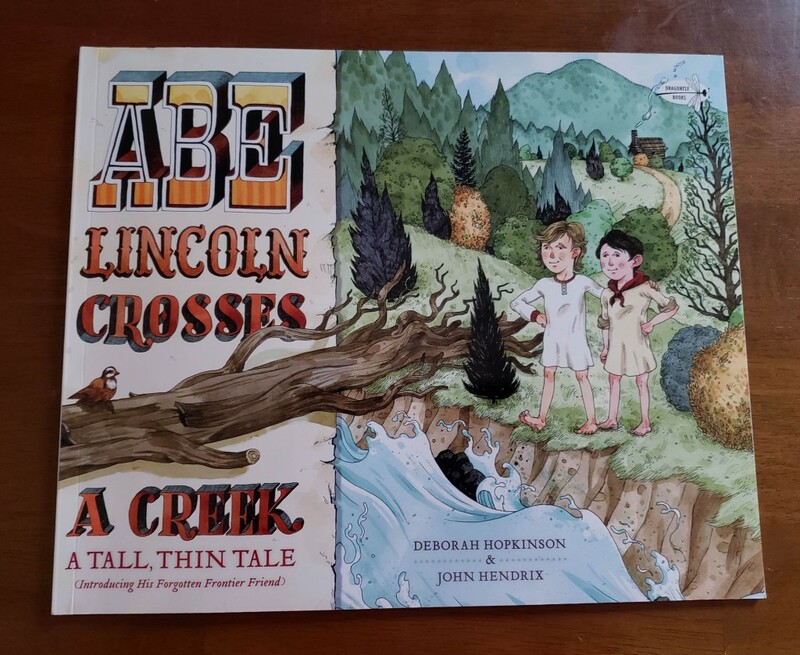 The next, Abe Lincoln Crosses a Creek, is a story about a friend who saved Abe Lincon’s life when he was a young boy. 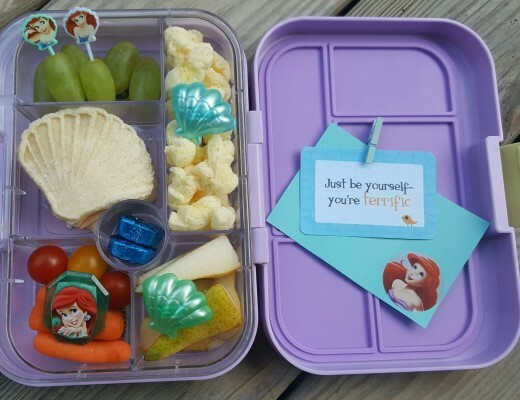 The overall point of this book is to show that it is important to always be helpful to others because you never know what impact an individual may grow up to have. 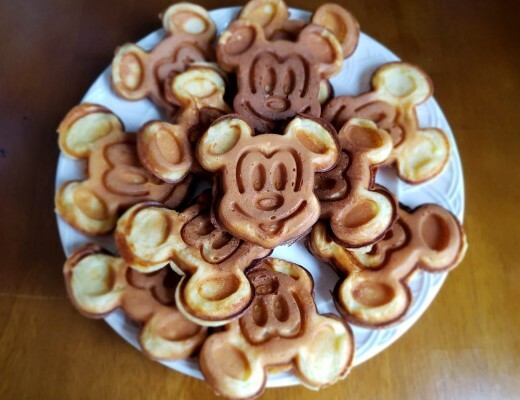 A secondary point of the book is that kids should follow the guidance of adults they trust because the friend would not have needed to save Abe if they too had listened to instructions in the first place. Next is a a general book about being President. If I Were President, is aimed at reviewing some of the main responsibilities of a President and ways in which the life of a President is different from other citizens’ lives. This book points out the serious nature of the Presidency and the tough fact that even when a President works to make effective decisions some will disagree. The next two books focused on Abraham Lincoln. 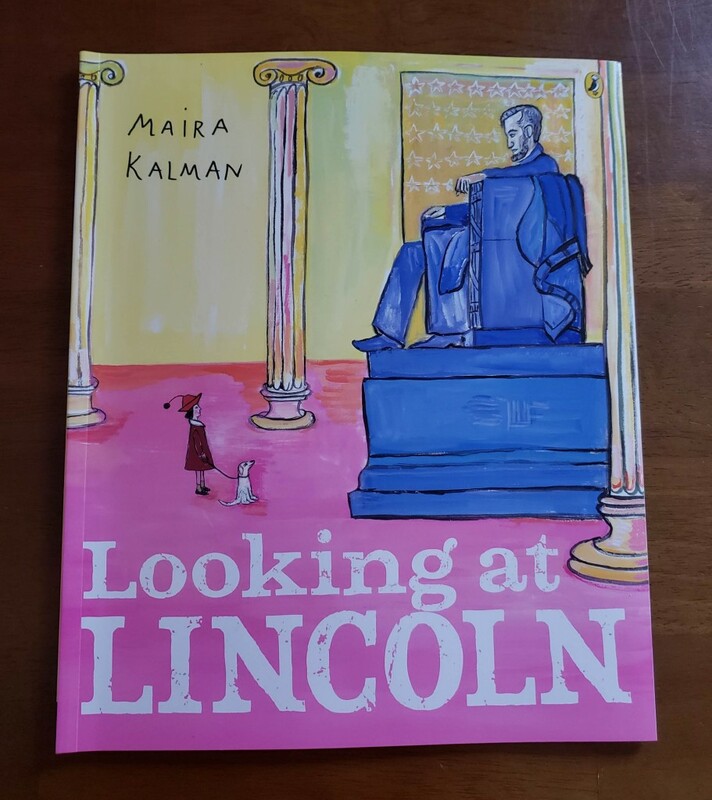 Looking at Lincoln reflected on his childhood, where he developed a love of reading and a respect for all people. I am Abraham Lincoln is a book in a set called Ordinary People Change the World. We really enjoy these books. Each one focuses on life experiences, habits, skills, and personality traits that contribute to the decisions and actions they eventually take that influence important outcomes. Each of these books includes thoughts from the infividual at a younger stage of life and includes facts about steps they took in adulthood. 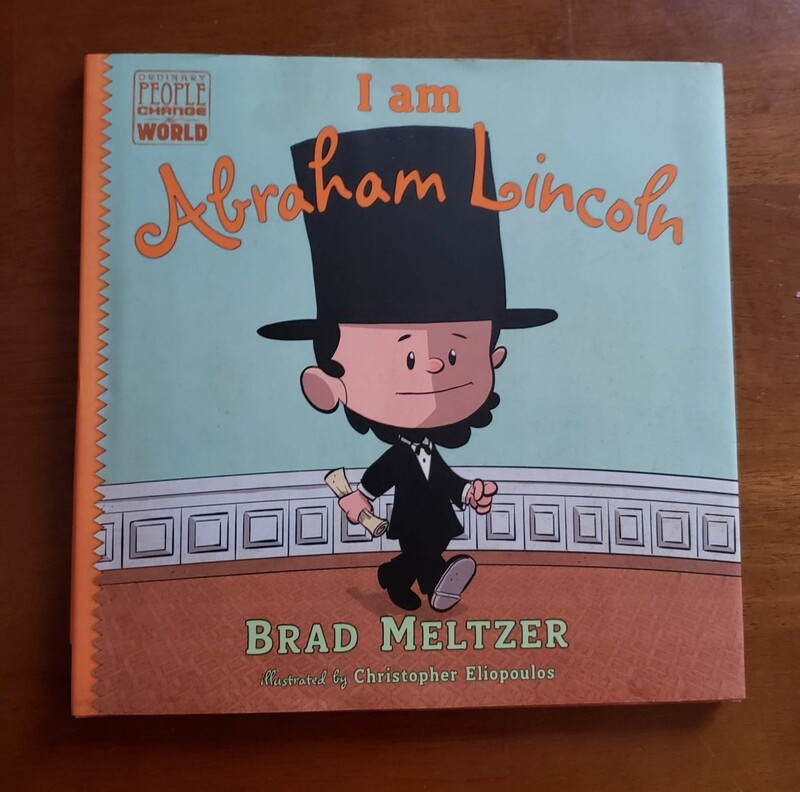 Of all the books we have read about Abraham Lincoln, I am Abraham Lincoln is the one we enjoyed the most and the one that we would most highly recommend if you are looking for an interesting, informative story with a powerful message. 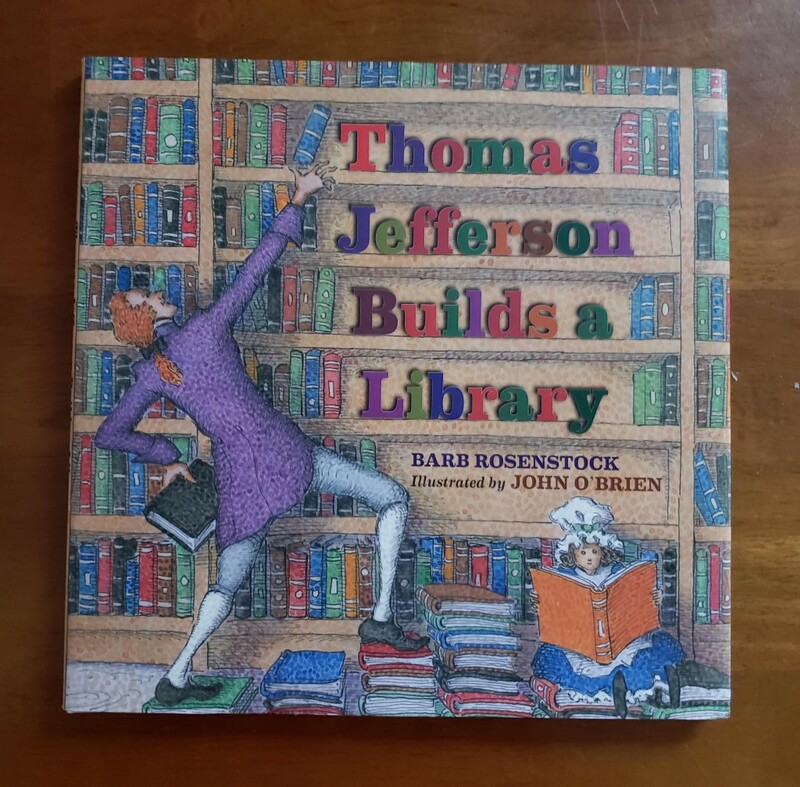 Our favorite book we read leading up to Presidents’ Day was called Thomas Jefferson Builds a Library. This book is filled with detailed illustrations, facts, numbers, quotes from Jefferson’s grandkids, and an valuable message regarding the importance of gathering many sources of information and investing lots of time in reading a variety of texts. Nearly every page of this book contains information that impressed our kids. I liked that the book was explicit in pointing out that Thomas Jefferson’s exposure to many forms of writing and the time he had invested in reading and considering written ideas from all over the world helped him to find the right thoughts and words to use when writing the Declaration of Independence. It’s important to realize that we don’t always know how we will use the knowledge and skills we gain through learning, but they often turn out to be incredibly valuable and tend to serve us at unexpected times which we could not prepare for on short notice. I definitely recommend this book. Our son likes to read a lot on the drive to and from school. 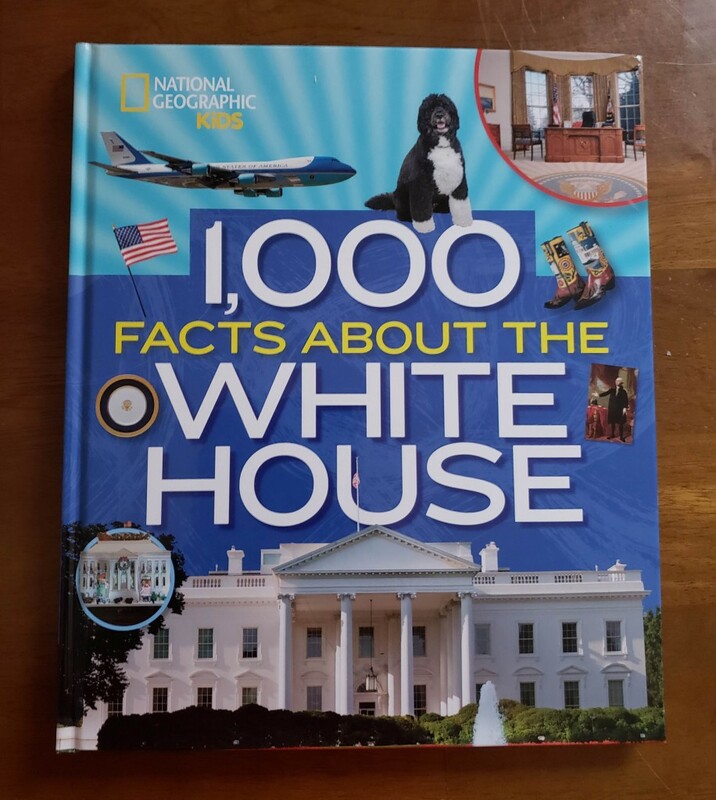 He enjoys nonfiction and fact books the most so I got him this book called 1,000 Facts About the White House. He seemed to enjoy reading it, but he did quickly comment that some of the information is no longer correct after new Presidents live in the White House. He wished that the book was a little more up-to-date (it was published in 2017). 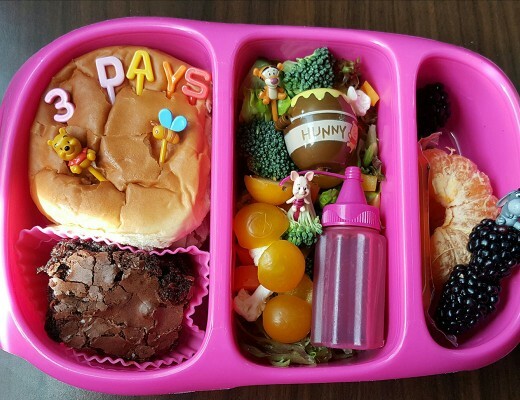 Below you will see my daughter’s Presidents’ Day themed lunch. Both kids were requesting Jello and I decided to oblige since they both also have been complaining of slight sore throats. 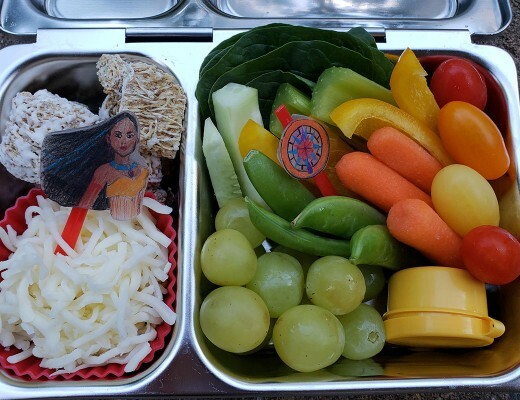 After I decided to include the Jello, I chose to include other classic foods you might find at an American style picnic. 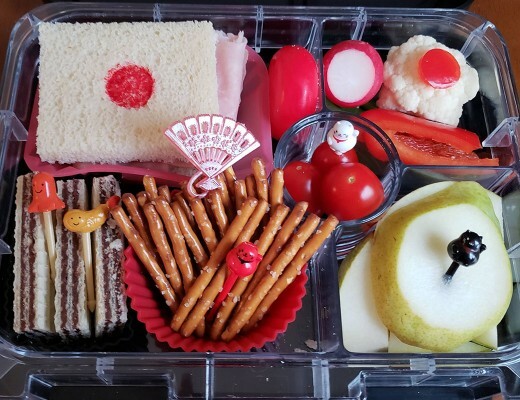 Pretzels, cheese cubes, fruit, Jello, a turkey sandwich, pickle slices, grape tomatoes, and M&Ms are in this lunch. 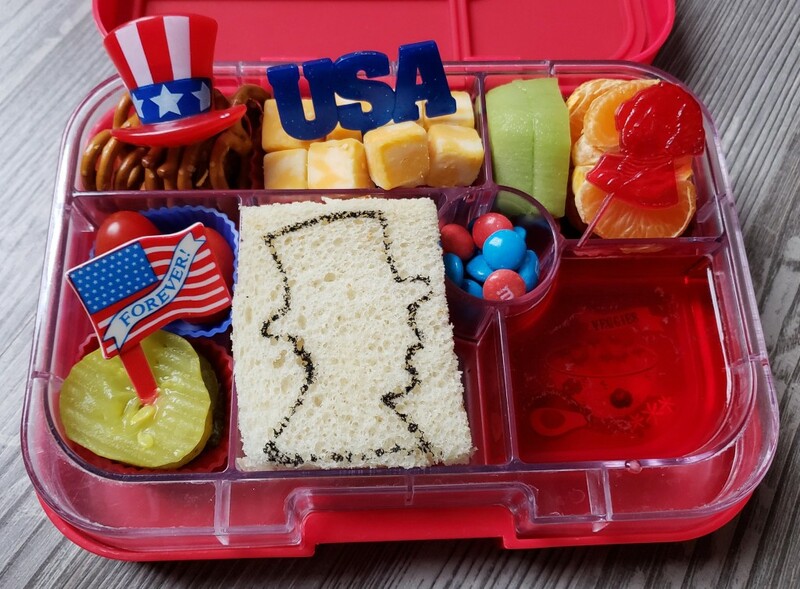 I used a food safe marker to draw an outline of President Abraham Lincoln on the sandwich. 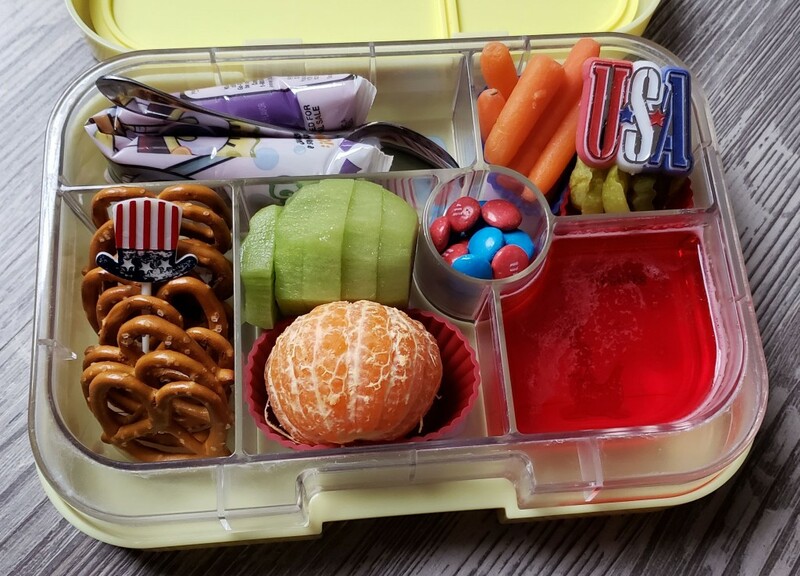 I included a vintage George Washington cupcake pick and a few other patriotic picks to decorate the lunch. 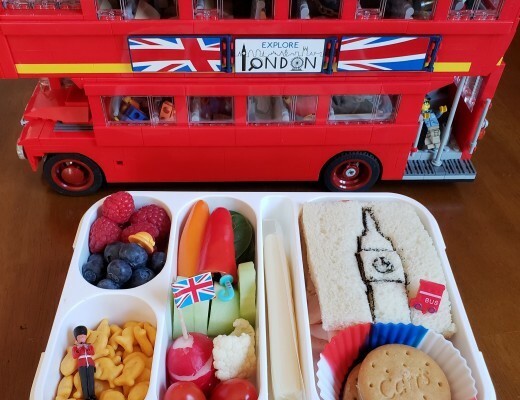 My son’s lunch is similar with yogurt in place of the sandwich and carrots in place of the tomatoes. 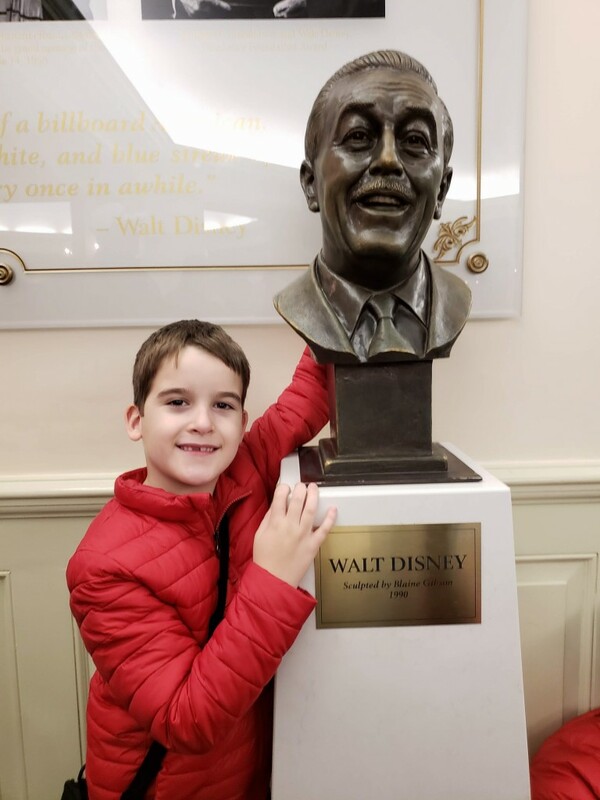 By the way, we really enjoy The Hall of Presidents at Magic Kingdom. 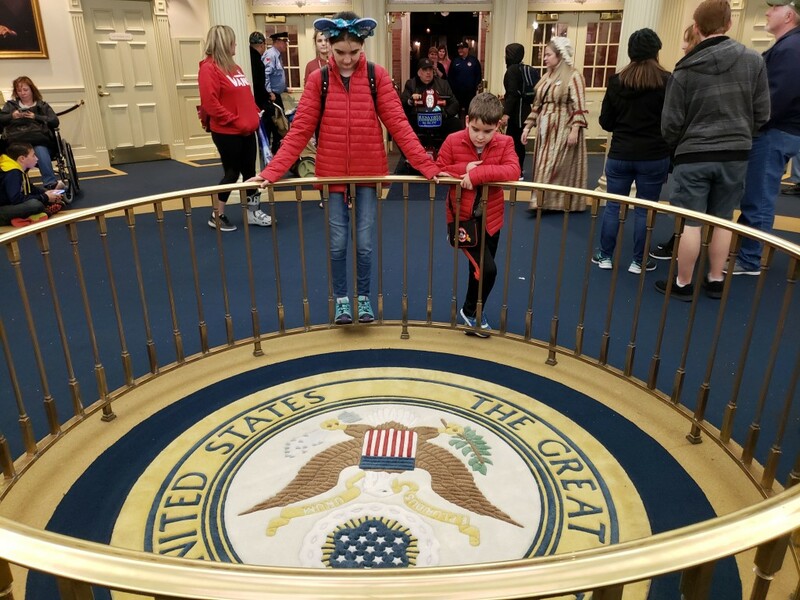 The message about the importance of the role of the Presidency is strong, the animatronics are impressive, and we like that they take time to acknowledge each President individually. We also like the collections included in the pre-show area including the display detailing some of Walt Disney’s interactions with Presidents. Thanks for reading. If you have suggestions for other good books about Presidents, please feel free to share in the comments below.